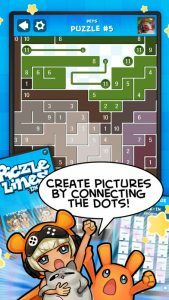 Piczle Lines DX, developed and published by the Score Studios, is a mind-boggling logic puzzle game that is bound to get you hooked for hours until you solve them all. 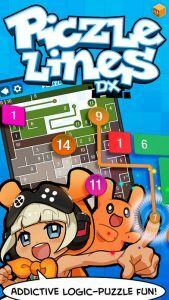 Explore the levels, from easy to gigantic, and experience the ultra-modern gameplay, curated just for you! 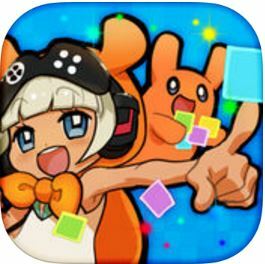 Score Studios LLC is a Tokyo-based independent video game development studio working on multi-platform games from hand-held and mobile to current and next generation home consoles. 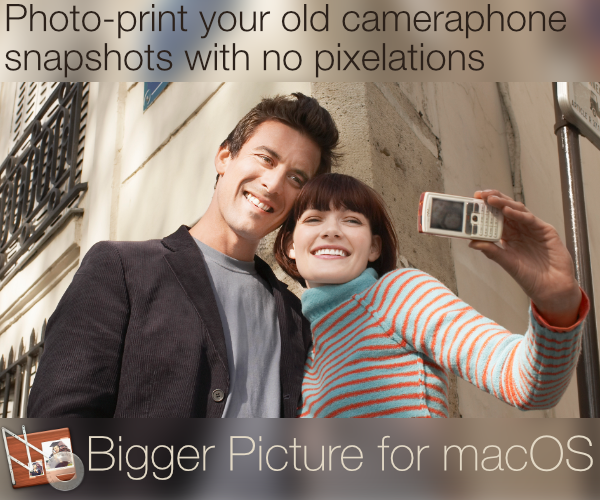 The game is compatible on both iOS and Android platforms. The Piczle Lines DX requires the player to fulfill the main objective of the game i.e. connect the matching dots. It is not easy as you think it is. The trick lies in matching the dots with the same number on it and of the same color. This might seem extremely easy at first but the game later consumes you with its difficulty levels. The game is based on a defined square grid, whose size depends on the difficulty level you select. For example, if you wish to start with an easy level, you select a smaller grid of around 8×8 or 12×12. The game provides a quick tutorial and a tour of the game to get you on with it so that it becomes easier for you to understand as you play. You can also skip the tutorial and rather dive in straight to the game if you’re a pro! The twist of the game lies in the numbers mentioned on the dots. It signifies the number of square boxes you need to cover to draw a line and reach the other matching dot. For example, if you wish to match a 6 and a 6 dot, you need to cover 6 square boxes to reach the dot. You can delete lines by either dragging the small dot back to the starting point or by quickly double tapping anywhere on the line. There are two modes for you to choose from: The Puzzle Mode and The Story Mode. The Puzzle mode lets you jump to a random puzzle of your choice while the Story Mode requires you to follow a story line and move to level sub sequentially. If you manage to exhaust all the puzzles, you can reset them all and play again, else purchase more from the in-game shop. 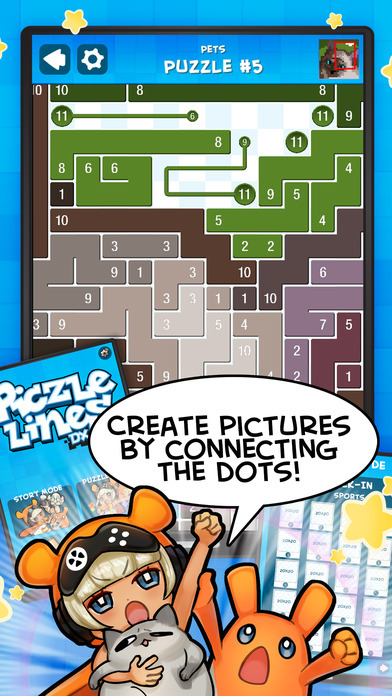 Piczle Lines DX is a beautifully designed little puzzle game with captivating graphics and a brilliant game-play. 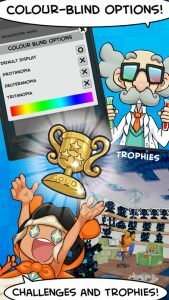 The interface is simplistic and lag free, though it takes a little while for the app to load at the start, but nevertheless, it covers up with its intense yet playful puzzles. Interactive texts that guide you whenever you need help can be turned off as desired. 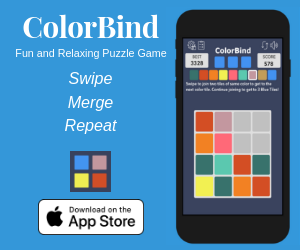 The settings options includes a very notable feature called as the color-blind mode, that is of a great help to those have color recognizing issues. Overall, graphics are not disappointing at all and go really well with the design and purpose of the game. 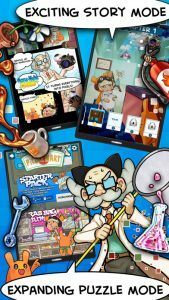 This app is great fun and has the potential to keep you hooked onto it for hours and hours without even making you realize. 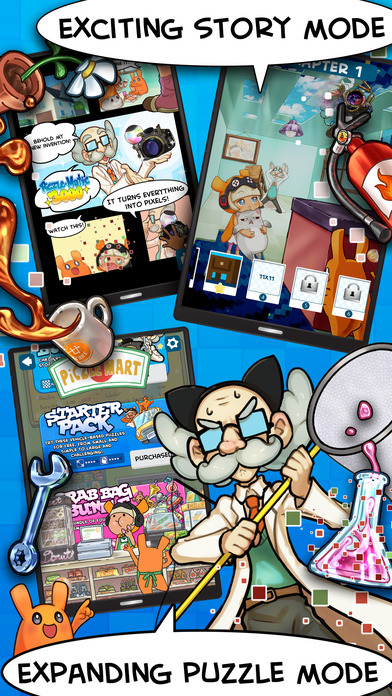 Piczle Lines definitely redefined the world of puzzles and has done its best to satisfy the users with its fantastic game-play, user controls and eye popping graphics! 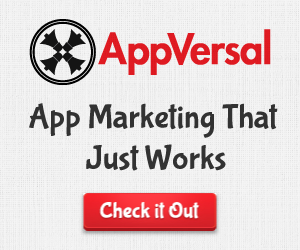 The game is available to download on the iTunes App Store and the Google Play Store for absolutely no cost.